"You are stronger than you believe." We've heard that before. Maybe it was on a Pinterest post. Or a t-shirt. Or maybe another movie. It's familiar, no doubt about that, but when Antiope says it to Diana in Wonder Woman, it feels different. At this point, it seems that everyone and their mother has seen Wonder Woman. (If you haven't, consider this your PSA that you most definitely should run to the theaters, like, right now.) The seemingly endless gems from the story of Diana of Themyscira have us thinking. 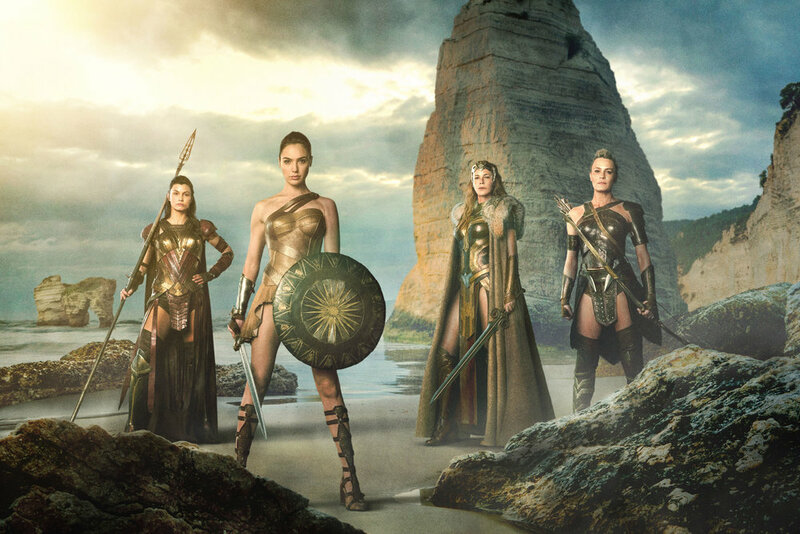 In one of the early scenes of the film, young Diana is training with her aunt, Antiope–the greatest warrior in history. After being struck by Antiope, Diana falls to the ground. Instead of asking if she's okay, Antiope yells, "You are stronger than you believe." You are stronger than you believe. We've likely heard it before, but when Antiope proclaims so, it feels like she's saying so to us. And while we may not be superheroes, the movie had us thinking about our own strength. Many of us are in that training phase. We aren't our own Wonder Women quite yet. We are in that transitional phase where so many of our choices dictate our lives' paths. Our majors. Our internships. Our first jobs. Our side hustles. Our second jobs. Where we live. Who we spend our time with. What we do with our time. How we present ourselves to the world. It seems like in such a short period of time, we are supposed to know exactly who we are, what we want, and what value we bring to the world. How on earth are we supposed to know that? Even if we do, how do we know it's our truth and not some fuzzy idea from some other force? That's why we loved those early scenes in Wonder Woman. She wasn't climbing tall cement towers as a child. She wasn't the greatest warrior in Themyscira as a teenager. Heck, if it wasn't for Antiope, she would have been killed in her very first battle. She grew into her greatness. There's a level of impatience that comes when you have big, bold dreams. You're so excited; you want them to exist right now. But that's not how it works. We need that training period. We need our own Antiopes–whether that's a mentor, friend, community, resources, or a combination of it all–who can walk with us through the process. And we need time to iron out the poor tactics that won't help us win whatever battles we will fight. It comes in many forms, not just the kind that give you the abilities to fight the god of war and save villages of people. With strength, we can be warriors in writing. Warriors in wellness. Warriors in computer science. Warriors in education. Warriors in government. Warriors in fashion. We can all channel our strength into our truest calling. But before fulfilling the calling comes the training period. Maybe some of us are just entering the training camp. Perhaps some are on their way to graduating. There are others who have tossed their caps. Wherever you are, we all have strength that has yet to be recognized. This month, we are going to discuss how to tap into that inner strength so we can do our work. We'll cover topics like how to strengthen your résumé so that it showcases your many superpowers. We'll talk about strengthening relationships and being a support for your support system. We'll examine bravery and how anxiety can be our own worst kryptonite. And we'll feature conversations with real life Wonder Women who are using their powers to create monumental impact. Whether you believe you have all the strength in the world and just want to channel it better, or you have little confidence inner strength exists within you at all, this month, we've got your back. Because no matter how many times you've been struck and fallen down, we know that you are stronger than you believe.